Kirsty Young's castaway is comedian David Walliams. 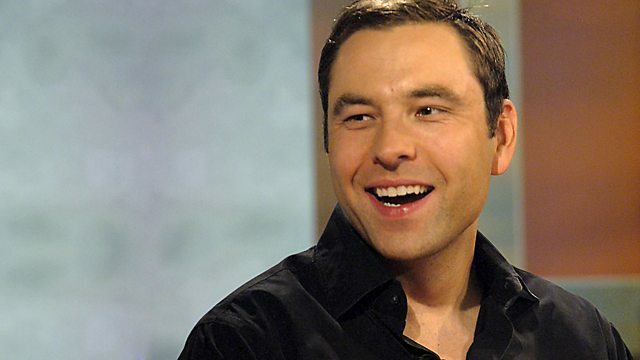 Kirsty Young's castaway on Desert Island Discs this week is David Walliams. He has seen extraordinary success - as one half of the comedy duo behind Little Britain, as a cross-channel swimmer and more recently on the West End stage and as a novelist. In this frank interview, he describes his life away from the spotlight; how he used to practise comedy routines in his bathroom, the excitement of an early trip out wearing a John Paul Gaultier skirt, the inner drive that propels him and the unhappiness he feels when he has no company except his own. Wellhart Ltd / One Little Indian Ltd. Please / Further Listening 1984 - 1986.